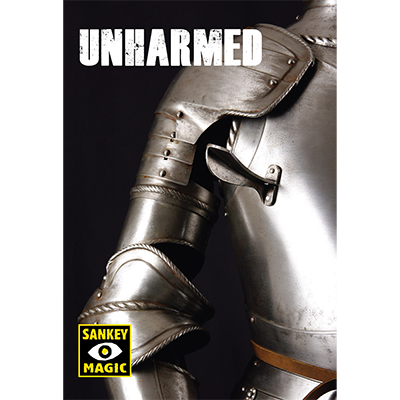 Today, when you order "UNHARMED by Jay Sankey", you'll instantly be emailed a Penguin Magic gift certificate. You can spend it on anything you like at Penguin, just like cash. Just complete your order as normal, and within seconds you'll get an email with your gift certificate. 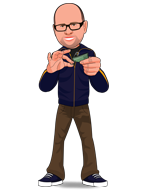 SPECIAL OFFER: Order Unharmed TODAY and receive Jay's incredible prediction trick "CHOICE EFFECT" - A completely free choice prediction using Taro cards. (This is a download and will appear as Unharmed in your MyPenguinMagic access area)! The performer borrows a credit card, driver's license or almost any other plastic card. The card is wrapped in an examined paper napkin, and a spectator is invited to hold tightly to a corner of the wrapped card. Then a pencil, pen, toothpick, nail or even a chopstick is slowly pushed through the credit card. A moment later, the card is unwrapped and returned to the owner. Special gimmick works with credit cards, drivers licenses, gift cards, loyalty cards and more! Requires only basic sleight of hand. 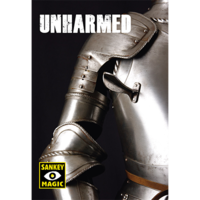 Unharmed includes a very cool gimmick, and the full-length DVD features a wide variety of handings for close-up and stand-up performances. Cause the ink to crawl down the length of your own Sharpie marker. One of Jay's most visual effects with a Sharpie marker to date. Jay Sankey shows you all the cool handling and great materials in the UNHARMED DVD!! Best of all is the simplicity of the gimmick itself. This is totally worth the price. I really enjoy this trick. The gimmick is so simple, yet so effective. It could be carried around in your wallet and you're ready to perform at a moment's notice. Overall, I would highly recommend anyone purchase this. The cons I listed aren't really deal breakers, just things to be aware of. I got this off a bargain and I honestly would've payed more. Just carry it in your wallet and you'll no longer not be ready to perform a trick at a moment's notice. Tis thing is so good! It has lived in my wallet for almost a year now and I can sneak it out when ever I wanna do something with a borrowed credit card! I highly recommend it! Especially if your looking for something you can always carry on you and can be ready to go! This is nice all around... does what its meant to do and is methodically rung in and out during presentation... went straight into my wallet and is ready to create a miracle at anytime! What can I say - Another worker! Killer handlings on the DVD, both super simple and slightly more advanced. Highly recommended.